The Business Acceleration Network and The Clear Business Directory have committed to raising the bar and setting new standards for the business world. 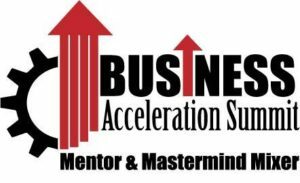 The Business Acceleration Network vets it’s mentors and educates its members on the merits of vetting potential partners, investors, service providers, team members, and employees. The Business Acceleration Network is dedicated to ensuring its members are protected from frauds and scams. That’s why they partnered with The CLEAR, so you have peace of mind in knowing which members and faculty are vetted for frauds and scams and agree to operate in transparency. As a member of the Business Acceleration Network Team you get special pricing when you join the Clear Business Directory today! Both the Business Acceleration Network and The CLEAR agree that collaboration is essential for businesses moving forward. Collaboration only works if built on transparency and trust. So how do you know who to trust? With the invention of the internet and social media, anyone and everyone can be a self-proclaimed expert if they just make their online profile look impressive. It’s difficult to tell if people are who they claim to be and can do what they claim to do. It’s even harder at a conference where energy is high and people are excited to do business together. While the “feel good” piece is important, serious business requires solid decision-making. That’s where The CLEAR comes in. When everyone operates in transparency, establishing trust is easy. Trust starts as a conversation and becomes a relationship. Transparency expedites trust. **Price is for 1 Principal. Vetting for additional Principals are $199 each. Please click here to add and additional vetting to the shopping cart. *Membership auto-renews annually at $199. Is a Transparent Vetting Like a Background Check? Unlike a background check, a transparent vetting report verifies information self-disclosed by the individual or business being vetted. The Transparency report also highlights information discovered during the vetting process and reveals information a background check would not discover. Who is in The Clear Business Directory? Members of The CLEAR have Chosen to operate in transparency about their business history and agreed to be screened for frauds and scams. You can have peace of mind knowing who you’re getting involved with. Not everyone vetted may choose to be transparent with their report. To see who is in The Clear – click here. What makes the CLEAR different than other directories? The CLEAR was created by Justin and Tonya Dawn Recla who brought over 20+ years government counterintelligence experience to the business world. It was built on the same counterintelligence principles used to protect national security. Why Should I get Vetted? More and more people are leery of who they hire and are fearful of getting ripped off by a fraud or scam. When you become a member of The CLEAR Business Directory, you give your clients the confidence they need to engage your business. As a member, your business is fully vetted for business aptitude, reputation, frauds and scams. Our members are vetted annually, so your clients will know your business continues to operate in transparency year after year. Trust starts as a conversation and ends up as a relationship! Transparency expedites trust. The Clear Business Directory gives business owners the opportunity to operate transparently, so they can expedite trust and give your prospective clients peace of mind. All members who are listed in the directory can place The CLEAR Business DirectoryTM Stamp on their website to show potential clients they are re-vetted every year and continue to operate in transparency. Getting Started is easy. After you sign up, check your inbox for an email from DocuSign for the required forms to begin the vetting process. The vetting process is super fast and simple. Each member is vetted annually on a variety of areas to include: business aptitude, reputation, fraud and scam screening, review of key personnel and applicable legal issues. Each member receives a PDF version of their transparency report for review and members get to review their report BEFORE they Opt-in to the directory. Once members are approved, their logo, description of services, website link, social media and transparency page are all placed on the site as part of their profile. You will then have the opportunity to be featured on the In the Clear Podcast!